There are few things sadder than baby animals without their mothers. Rescue groups can provide them with food, shelter and care - but baby animals need constant love and attention as well. Fortunately, they've found a pretty good alternative: stuffed animals. Here are 16 orphaned animals who might not have their mothers, but still get plenty of cuddles. This orphaned orangutan who can't sleep without someone to snuggle up against. This tiny lamb who was found motherless and freezing at just a few hours old. This little calf who was rescued from a dairy farm. This rescued lamb who need a maternal hug before she was cleaned off. This orphaned sloth who loves to hug his cuddly dolphin. 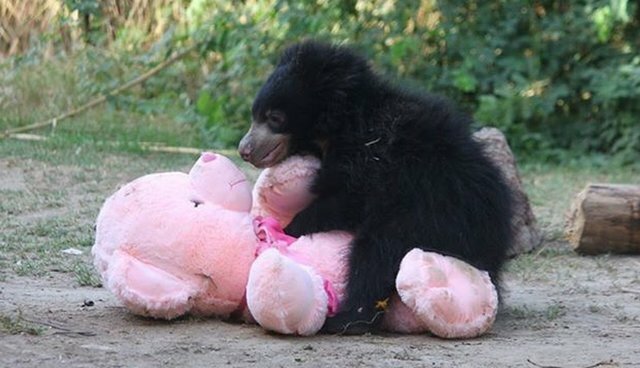 This sweet bear who lost his mother but gained a friend. ... but has stuffed animals to keep her warm throughout the night. This clinically depressed wombat who finds comfort in his teddy bear. This lamb who lost her mother but has a soft white monkey friend. This sweet sloth whose substitute mom looks just like the real thing. This orphaned wallaby who loves his teddy. This poor orangutan who likely lost his mom to poachers. This little lamb who misses her mother but takes comfort in her stuffed animal family. 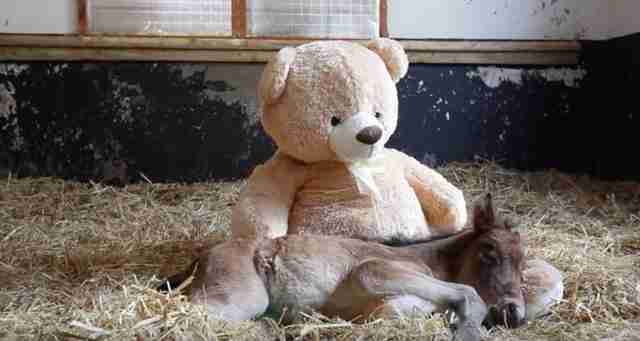 This abandoned baby pony who feels safe when he has someone to hug him. These incredible lamb babies who look like stuffed animals themselves. And this bucket o' sloth orphans, who will just have to learn to share.